Vintage drawing of a gentleman conducting a piano player. 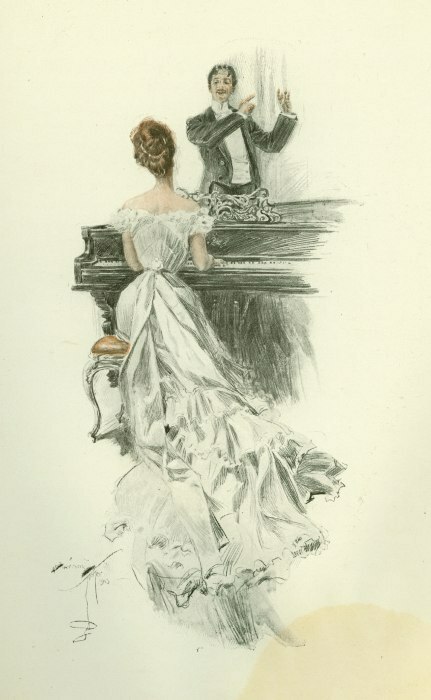 A lovely lady wearing a long white dress and a graceful neck sits on piano bench with her back to us as she plays. Harrison Fisher (1875-1934) illustrated the 1903 work The Main Chance by Meredith Nicholson.